45 loyalty points Your cart will total 45 points that can be converted into a voucher of 1,80 PLN. Olimp Xplode is a series of supplements based solely on an absolutely innovative products, designed for those with uncompromising demands. The unique composition of these supplements is the result of efforts of scientists from laboratories Olimp®, based on the design of each product, on the latest research in the field of diet and supplementation of athletes and active people. Many years of experience in the industry Olimp® supplements, undoubtedly contributed to the success of the most successful athletes from the Olimp Team, who also participated in creating the Xplode ™ series. The innovative composition of each product from the Xplode ™ series is based solely on the most effective and pharmaceutically pure active substances with proven and documented, safe operation. WARNING! The new ultra-concentrated formula! 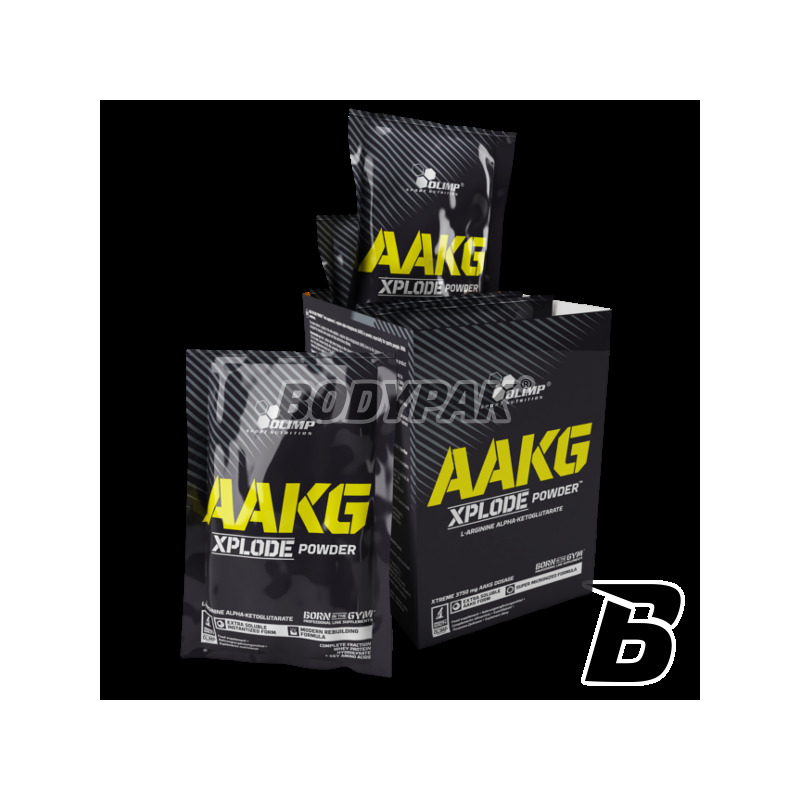 Adjust the portion to your needs, remembering that in every 5g of the product is up to 3750mg of the highest quality AAKG! Remember! 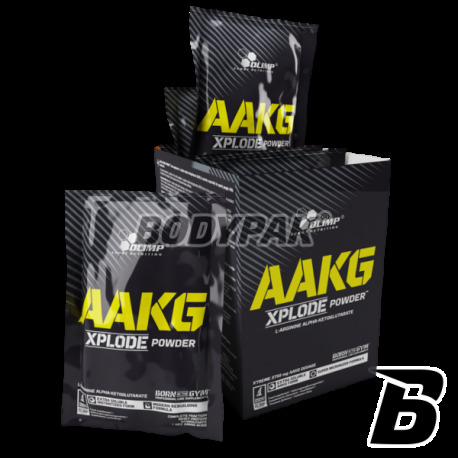 AAKG XPLODE powder® manufactured to the highest standards applicable in the manufacture of pharmaceutical products. Składniki: 75% alfa-ketoglutaran L-argininy (AAKG), regulator kwasowości: kwas cytrynowy, aromaty, substancje słodzące: acesulfam K, sukraloza; regulator kwasowości - kwas jabłkowy, barwniki: ryboflawina (dla smaku cytrynowego), ryboflawina, beta-karoten (dla smaku pomarańczowego), koszenila (dla smaku fruit punch). Mocna waskularyzacja i pompa podczas treningu po zastosowaniu.